A Tranquil Location in the Heart of London. Mill Hill School was founded in 1807 and consists of four schools, Mill Hill, Belmont, Grimsdell and The Mount, Mill Hill International. It is located in peaceful and rural surroundings, and is very close to Central London. 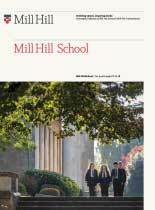 Mill Hill School Foundation occupies 150-acre site, many of the buildings are Grade II listed and are of historic interest. The beautiful grounds and gardens, some of which still have the rare and exotic plants imported by Peter Collinson in the 18th century, are superbly managed and kept and have stunning views across London. Due to the wonderful location, Mill Hill School and its grounds have become popular locations for Wedding Receptions, Christenings, Bar Mitzvahs, Special Occasion Parties, Corporate Functions, Dinner Dances, Balls and Filming and Photographic shoots. All events will be managed and can be catered by our highly skilled staff.